Zeitgraph Inc creates memorable communications for clients in small business enterprise, corporations, nonprofits, and museums. Our recent projects include print publications, brand development, event graphics, wayfinding, interior graphics, and corporate history display. 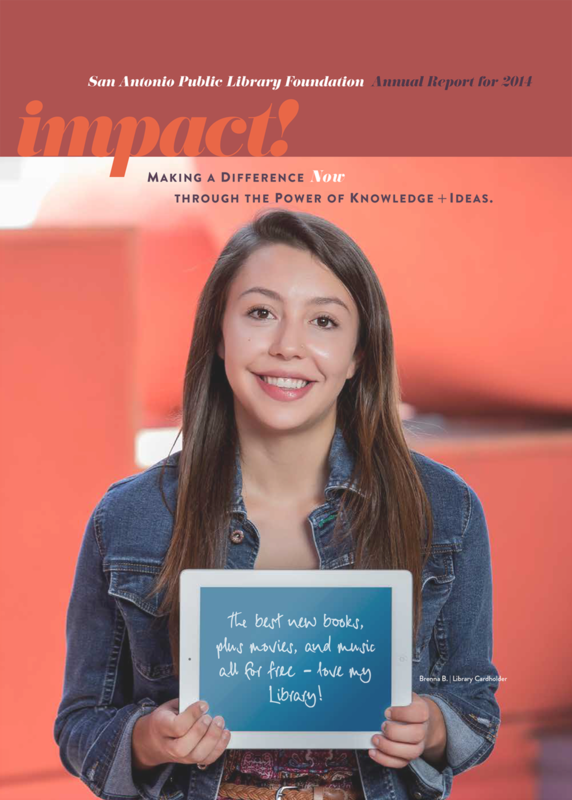 Annual Report for San Antonio Public Library Foundation. Cover, Southwest School of Art Bachelor of Fine Arts (BFA) Program Viewbook. Key graphic for San Antonio Book Festival. Rebrand for a local favorite used and rare bookseller, spring 2018. 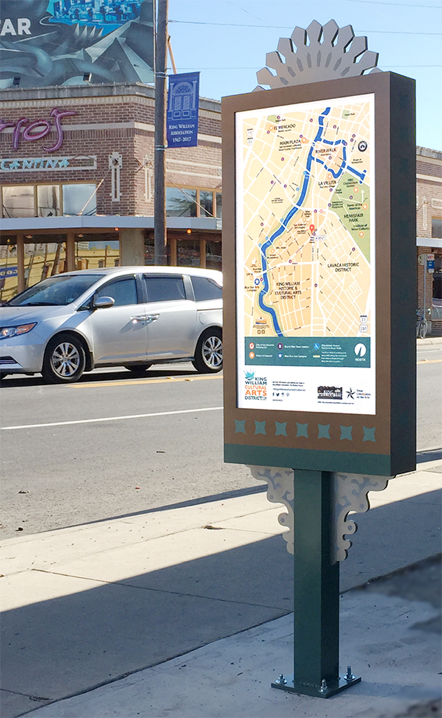 Wayfinding for the King William Cultural Arts District, sponsored by Texas Commission on the Arts. Annual Report cover. Robert Shaw, photography. Company history display in a reception room of a prominent producer of Wisconsin cheese. 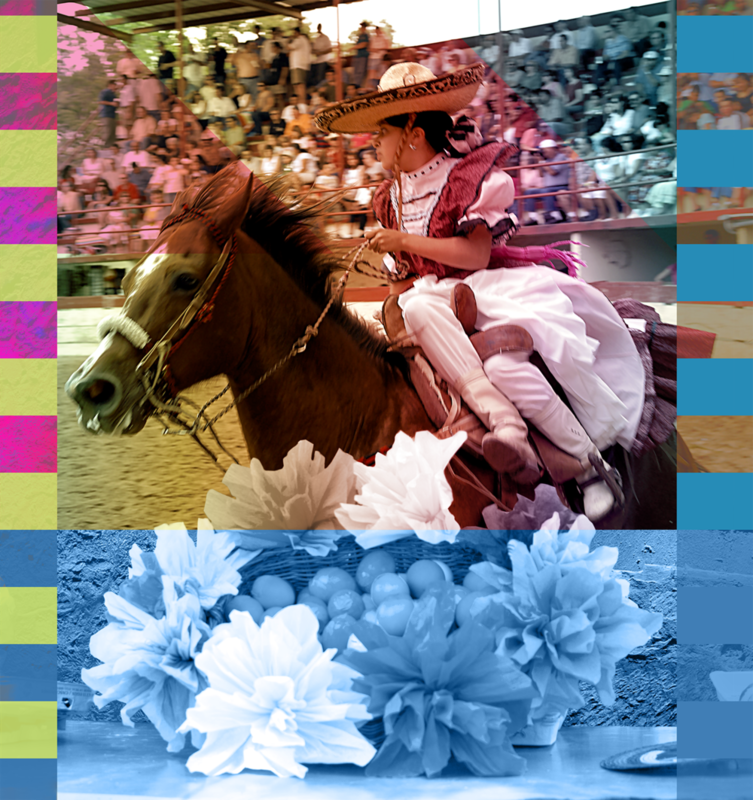 "Charreada," panel from themed interior supergraphic. Al Rendon, photography. Zeitgraph’s portfolio showcases design for print, web, and environmental graphics. 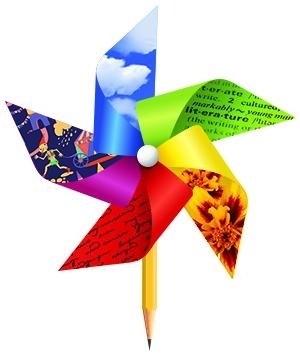 We partner with clients to create unique print marketing and website design, publications, non-profit outreach, museum and park interpretive graphics, brand design, and corporate history. In each case, we develop crafted solutions in tune with their brand, maximized for the medium, and targeted to the audience.